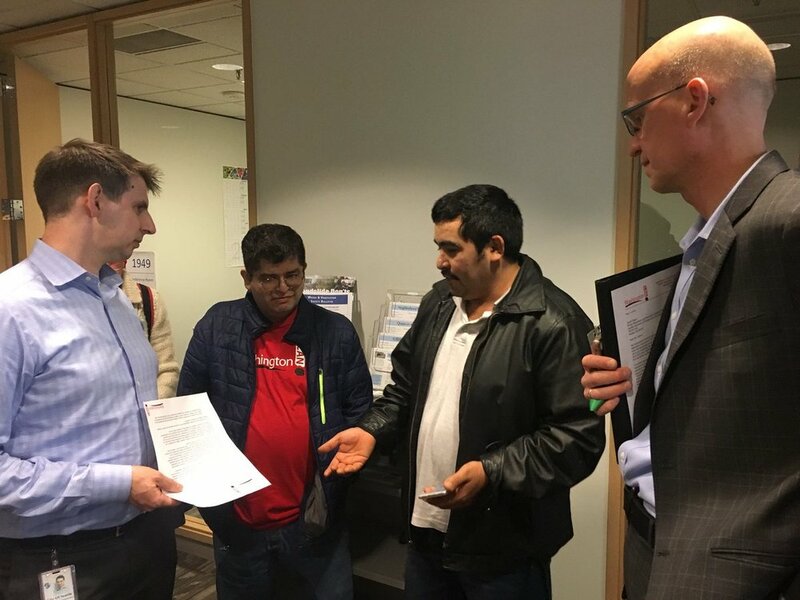 After a group of tenants and Washington CAN advocates delivered a letter to the Geoff Tallent, the Rental Registration and Inspection Ordinance Program manager, to demand his office respond to tenants living in unhealthy units, his office immediately sent inspectors to a unit in substandard conditions. After CAN and the tenants delivered the letter, Tallent immediately sent an inspector to the unit to see whether the tenants were eligible for relocation assistance. The office also confirmed they would respond to CAN's questions by March 2. Read the full letter Washington CAN delivered to the SDCI below. The address of the apartment building is redacted to respect the privacy of the tenants.